When it comes to waffles, the more the merrier. American Waffle House agrees with this sentiment, as they just expanded their menu in a major way. 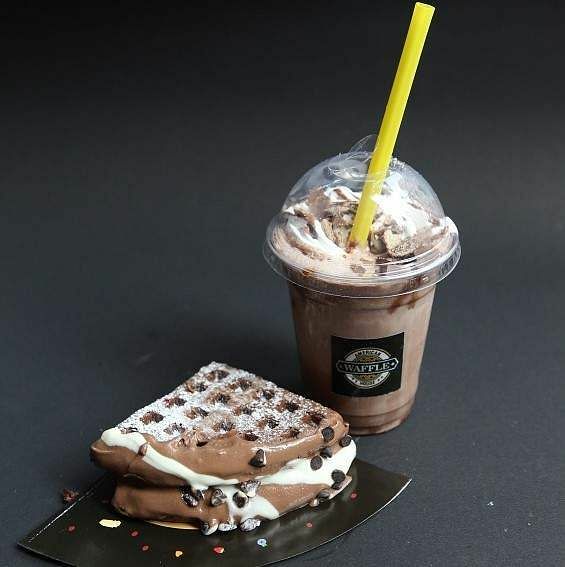 The dessert chain famous for its Red Velvet and Choco Blast waffles has introduced savoury waffles into their menu, piquing our interest sufficiently. 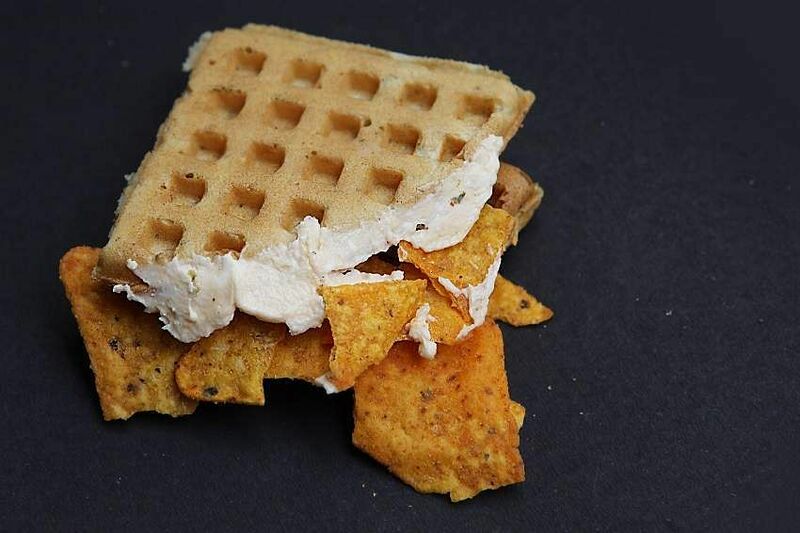 Featuring a range of add-ons, like nachos, cottage cheese, pesto fillings and Mexican sauces, each of the new waffles are as individualistic as they come. Kolkattans have long been looking for a taste of waffles on the savoury side. And American Waffle House’s snacky new creations are as close to the real deal as it gets. 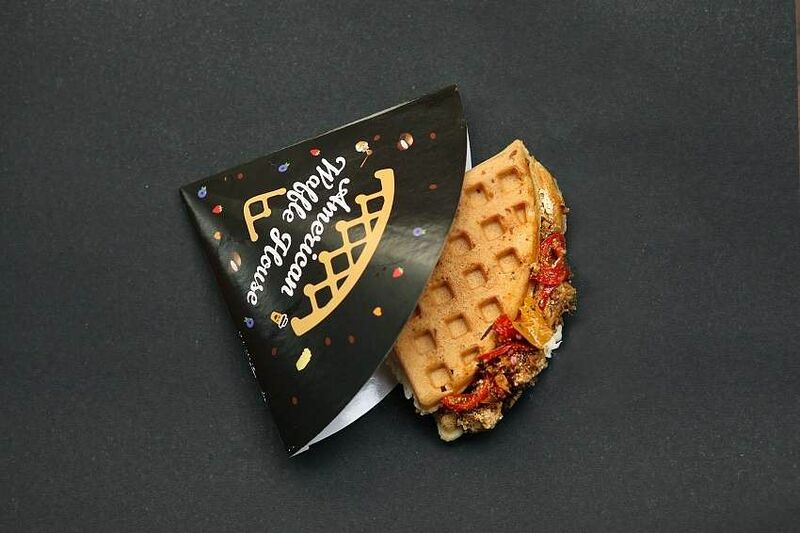 “Our waffles are the healthiest ones in the city. We are not using any processed items in our waffles. We use our own sauces, our own recipes, and even the red velvet waffle does not have any colours. You wouldn’t believe it, but we get the luxuriant red from beets. Millennials are always looking for fresh, low-carb snacking options, and we’re working very hard to cater to foodies looking for a wholesome continental snack” says Shyamal Das, who co-owns the chain with his wife Swagata Deb Sharma. American Waffle House currently has three outlets, in Bhawanipore, Lords and Lake Town, and is coming up with a couple of more, we are told. Das also tells us that he is not pushing any one signature creation from the new menu, featuring the 7 veggie waffles. As innovative as they all are, it all boils down to what your taste buds are looking for. “We ask our customers about their tastes and about their palate and recommend them what they would like. Because we have a diverse menu, and you really need to figure out what works for you,” he adds. Our first pick was the Cheesy Texmeco Twist, which has fresh bell peppers, cheese and Indian and Mexican spices. It’s not as spicy as you’d expect, but the sauces are well-used to give it a tangy zest. Another quirky addition is the Nachos Libre – waffles filled with nachos and jalapeno cheddar sauce. It makes the waffles superbly crunchy, and yet it does not feel dry against your mouth. The Bloody Cheesy Margherita is basically the healthier alternative to a pizza. It has olives, Italian herbs, grated mozarella on Margherita tomato paste. So, it really shares the same flavour palette as your standard pizza. 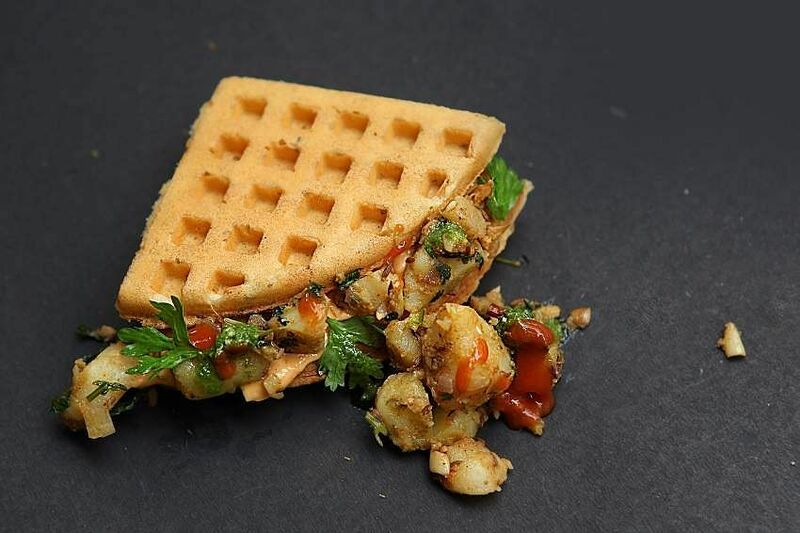 If you’re a fusion enthusiast, you might love the Garbanzo Delight waffle which features Kabuli Channa cooked with Tahini Spread, and the Cottage Cheese Extravaganza, which has a Kadhai paneer-inspired flavour. The Indian style waffles work because of the novelty blend of ingredients, and also because they have a certain freshness to their flavours, owing to the hot fillings. We obviously asked the owner what all waffle-lovers want to know: Whether he plans to feature the soul food superstar chicken and waffles on his menu anytime soon. “Yes, we have actively been planning to feature chicken and waffles at some of our outlets. And we are looking at ways to expand the non-vegetarian sections,” Das informs us. As we were gorging on the old favourite Choco Boom (cocoa waffle base with dark, milk and white chocolate fillings), we watch a mother-daughter duo from Dhaka came in for some quick waffles. 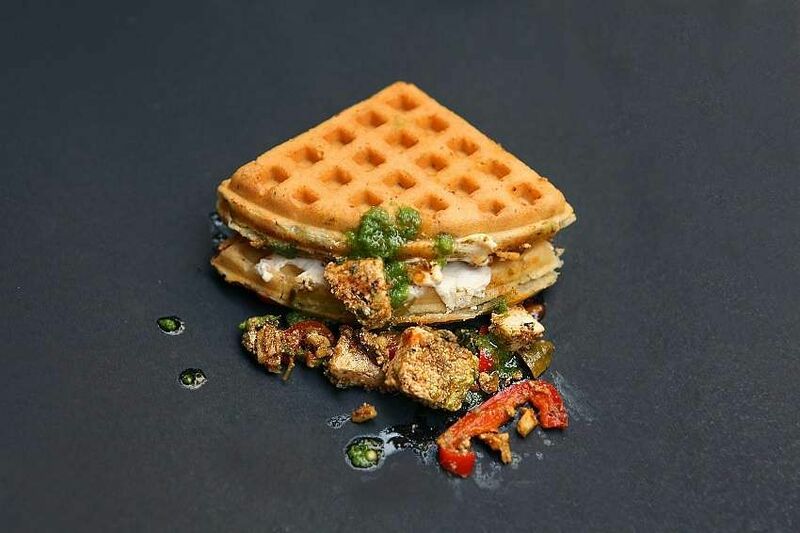 It is no surprise that they pick the newly-introduced savoury ones too, even as we hear them admit that such diverse options are wanting at the few waffle chains in Dhaka. We do tell them that the most Instagrammable item from the menu is the red velvet waffle, which has a filling of cream cheese and white chocolate, and is a total stunner.